Uncategorized | Brigada Builders, Inc.
http://brigadabuilders.com/wp-content/uploads/2016/03/Proj_43-07.jpg 1200 1800 Brigada Builders, Inc http://brigadabuilders.com/wp-content/uploads/2015/07/Brigada_Logo_main_Color_grey-300x138.png Brigada Builders, Inc2016-03-16 10:16:552016-03-16 17:52:55Project 43. Sharman Oaks. Project 38. Rancho Palos Verdes. 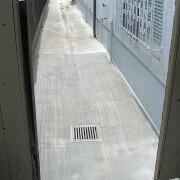 http://brigadabuilders.com/wp-content/uploads/2015/11/Proj_38-01.jpg 1200 1800 Brigada Builders, Inc http://brigadabuilders.com/wp-content/uploads/2015/07/Brigada_Logo_main_Color_grey-300x138.png Brigada Builders, Inc2014-06-02 06:10:022016-03-07 20:54:47Project 38. Rancho Palos Verdes. 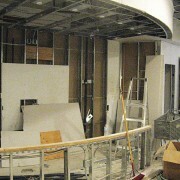 http://brigadabuilders.com/wp-content/uploads/2015/11/Proj_37-01.jpg 1200 1800 Brigada Builders, Inc http://brigadabuilders.com/wp-content/uploads/2015/07/Brigada_Logo_main_Color_grey-300x138.png Brigada Builders, Inc2014-03-18 06:06:592016-03-07 20:54:48Project 37. Culver City. http://brigadabuilders.com/wp-content/uploads/2015/11/Proj_36-01.jpg 1800 1200 Brigada Builders, Inc http://brigadabuilders.com/wp-content/uploads/2015/07/Brigada_Logo_main_Color_grey-300x138.png Brigada Builders, Inc2014-01-09 06:03:502016-03-07 20:54:48Project 36. Encino. Project 35. 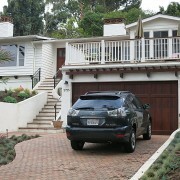 Palos Verdes Estates. 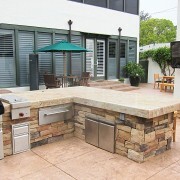 http://brigadabuilders.com/wp-content/uploads/2015/11/Proj_35-01.jpg 1200 1800 Brigada Builders, Inc http://brigadabuilders.com/wp-content/uploads/2015/07/Brigada_Logo_main_Color_grey-300x138.png Brigada Builders, Inc2013-12-15 05:57:332016-03-07 20:54:49Project 35. Palos Verdes Estates. 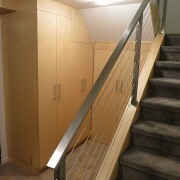 http://brigadabuilders.com/wp-content/uploads/2015/11/Proj_34-01.jpg 1200 1800 Brigada Builders, Inc http://brigadabuilders.com/wp-content/uploads/2015/07/Brigada_Logo_main_Color_grey-300x138.png Brigada Builders, Inc2013-11-30 05:52:122016-03-07 20:54:49Project 34. Van Nuys. http://brigadabuilders.com/wp-content/uploads/2015/11/Proj_33-01.jpg 1800 1200 Brigada Builders, Inc http://brigadabuilders.com/wp-content/uploads/2015/07/Brigada_Logo_main_Color_grey-300x138.png Brigada Builders, Inc2013-10-02 05:45:142016-03-07 20:54:50Project 33. West Hollywood. 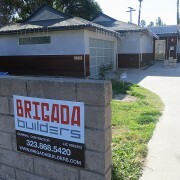 http://brigadabuilders.com/wp-content/uploads/2015/11/Proj_32-01.jpg 1200 1800 Brigada Builders, Inc http://brigadabuilders.com/wp-content/uploads/2015/07/Brigada_Logo_main_Color_grey-300x138.png Brigada Builders, Inc2013-09-18 05:41:162016-03-07 20:54:50Project 32. 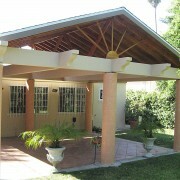 Tarzana. http://brigadabuilders.com/wp-content/uploads/2015/11/Proj_31-01.jpg 1200 1800 Brigada Builders, Inc http://brigadabuilders.com/wp-content/uploads/2015/07/Brigada_Logo_main_Color_grey-300x138.png Brigada Builders, Inc2013-08-27 05:38:042016-03-07 20:54:51Project 31. Ontario. Project 30. Marina Del Rey. http://brigadabuilders.com/wp-content/uploads/2015/11/Proj_30-01.jpg 1800 1200 Brigada Builders, Inc http://brigadabuilders.com/wp-content/uploads/2015/07/Brigada_Logo_main_Color_grey-300x138.png Brigada Builders, Inc2013-07-06 05:32:252016-03-07 20:54:51Project 30. Marina Del Rey.